Fox 2.0 Emulsion Smoothie Shocks with 5/8″ Shafts from AccuTune Off-Road come pre-tuned for your ride, your terrain, and your driving style. The standard Fox shock valving is not well tuned for most vehicles and will cause harshness and bucking off-road. We custom tune every Fox 2.0 Emulsion Smoothie shock using AccuTune Equations, and AccuTune Double Flutter Stacks to give you the best performance possible. Call us to learn more about what we can do for you. AccuTune Off-Road delivers the best performing Fox 2.0 Emulsion Smoothie Shocks because of our experience with Fox shocks, AccuTune Equations, and AccuTune Double Flutter Stacks. The combination of our new techniques and highly accurate equations result in Fox 2.0 Smoothie Shocks that substantially outperform the factory valving and semi-tuned valving sold by our competitors. With Fox Smoothie Shocks from AccuTune Off-Road your ride will be more comfortable and more controllable no matter what terrain you're on. Our 2.0 Fox Emulsion Smoothie Shocks come with free custom tuning, and free disk swapping or a free re-valve. When you want the best Fox 2.0 Emulsion Smoothie Shocks with 5/8 Shafts look no further than AccuTune Off-Road. Fox 2.0 Smoothie Shocks with 5/8 shaft provide greater off-road control and performance than 7/8 shaft Smoothie Shocks due to the smaller shaft. 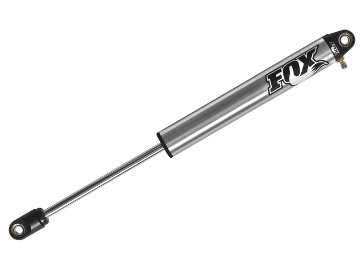 The reduced seal friction of 5/8 Shaft Fox Smoothie Shocks provides better ride quality because a greater portion of the damping can be controlled and tuned. The smaller shaft also gives these 2.0 Fox Smoothie Shocks more oil volume for increased damping and more heat capacity. 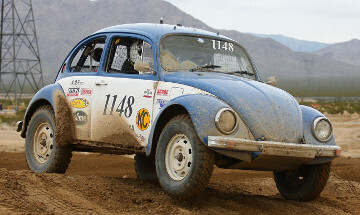 When it comes to small buggies Fox 2.0 x 5/8 shaft Smoothie Shocks from AccuTune Off-Road set the benchmark. Fox 2.0 Emulsion Smoothie Shocks work by mixing the nitrogen and gas into one chamber inside the shock. The result is a Fox Smoothie with a big 2.0 bore, but at a lower price point than a remote reservoir shock. Emulsion Fox Shocks are where performance meets budget. Fox 2.0 Factory Series Smoothie Shocks are most durable Smoothie Shocks on the market due to their premium components. The 5/8 shaft Factory Series 2.0 Smoothie provide better damping and control due to the smaller piston rod, and increased oil volume. In addition these shafts are made from high carbon steel with a premium hard chrome plating to resist corrosion and rock chips. To cap if off Fox Factory Series Smoothie Shocks come with premium oil, nitrile seals, and a high flow piston. Look no further than Fox 2.0 Factory Series Smoothie Shocks for your ride. FOX 2.0 Smoothie Shocks have dominated the top levels of professional racing for decades by providing quality and performance that racers rely on. The same meticulous attention to detail, rugged construction and technically advanced suspension damping is applied to every Fox shock. Leave the pavement behind with total confidence, and find out just how good your truck or Buggy can be. 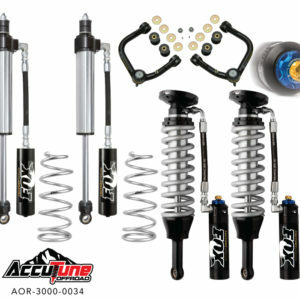 Experience the ride you’ve been dreaming of with a set of Fox 2.0 Smoothie Emulsion shocks from AccuTune Off-Road.